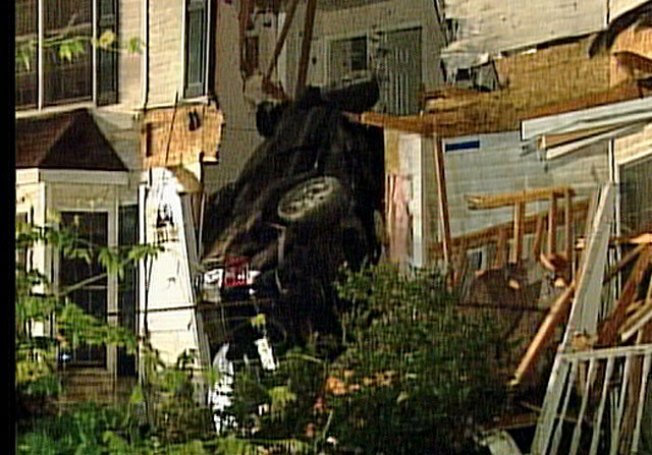 A Long Island home is in ruins after a driver took a speed bump so fast his Jeep jumped high in the air and smashed through a wall on the second floor. The spectacular wreck happened just after midnight Saturday in East Moriches. Sarli was alone in the home and wasn't hurt. The 20-year-old driver suffered minor injuries, while a passenger walked away unscathed. Suffolk County police arrested the driver on charges including driving while intoxicated and reckless endangerment.